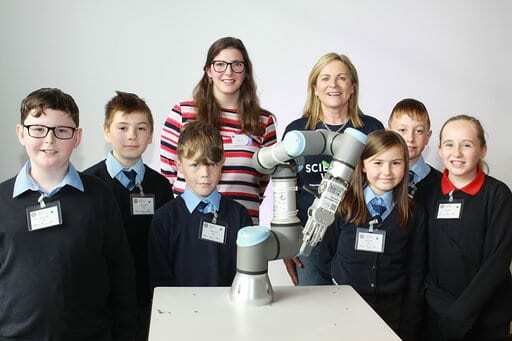 As part of the Midlands Science festival 2018, pupils from St Etchens National school in Kinnegad visited local company, Irish Manufacturing Research, for a day of challenges and games with the objective of exciting them about the world of science and technology. Pupils had the opportunity to get hands on experience of activities such as Virtual Reality, Cobotics, 3D printing, Analytics and Electronics. This was one of over 120 events which took place throughout the region during national Science Week which was a huge success. 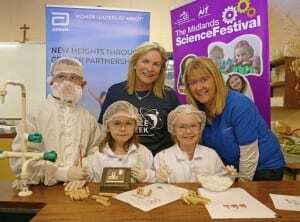 Midlands Science work to build public awareness of the importance of science in everyday life, provide schools with opportunities for direct interaction with real scientists and talented speakers and encourage younger audiences to partake in real science activities so that they can get a taste for how diverse it actually is. Forensic Fun and Investigation in Athlone! 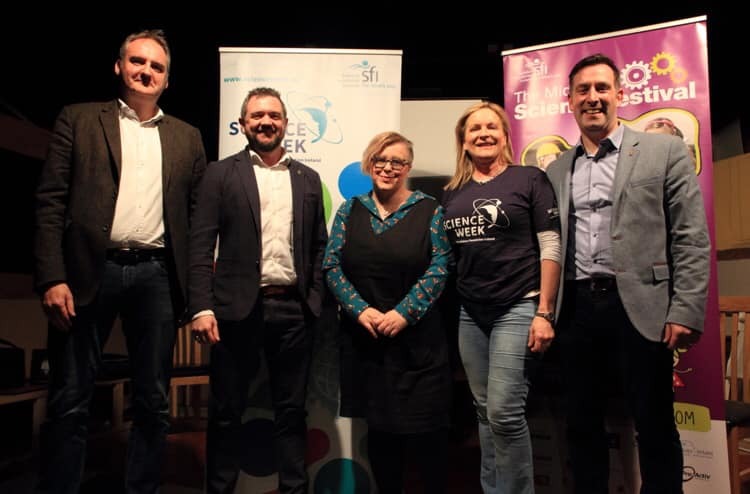 International Terrorism expert, Prof Andrew Silke and Brian Gibson of Forensic Science Ireland, Jackie Gorman and Pauline Nally of Midlands Science and Craig Slattery, UCD and Midlands Science at the Science Week event, which explored forensic science, poisoning by spies and the psychology of terrorism. 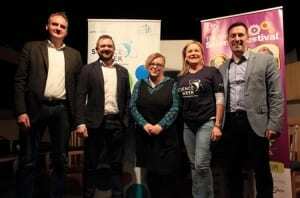 The event took place in Athlone Little Theatre and featured a crime scene with clues for audience members to use to solve the crime. 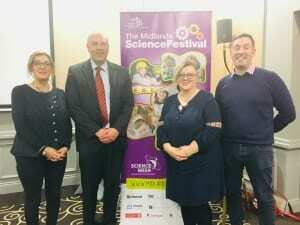 http://www.midlandsscience.ie/wp-content/uploads/2018/11/Forensics-event-1.jpg 494 750 Gillian Maunsell http://www.midlandsscience.ie/wp-content/uploads/2018/08/logo.png Gillian Maunsell2018-11-19 12:38:092018-11-19 12:38:09Forensic Fun and Investigation in Athlone! We had another successful public event in Laois last night when people gathered to learn all about the weather and the role science plays. 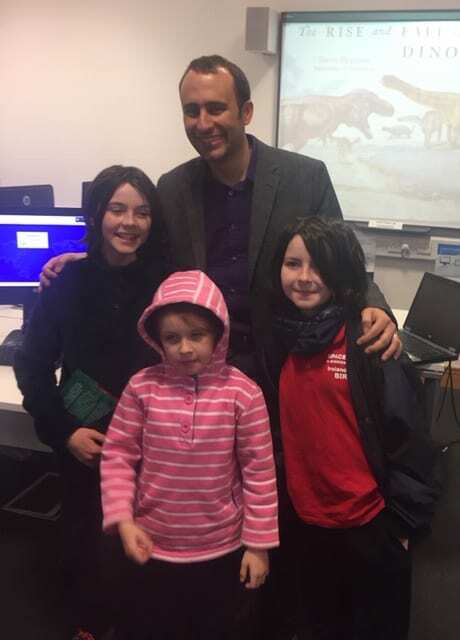 We were delighted to welcome well-know weather forecaster, Gerald Fleming to address the audience on this very important and fascinating subject. http://www.midlandsscience.ie/wp-content/uploads/2018/11/Science-of-weather-group.jpg 3024 4032 Gillian Maunsell http://www.midlandsscience.ie/wp-content/uploads/2018/08/logo.png Gillian Maunsell2018-11-14 11:25:202018-11-14 11:25:20Whatever the Weather! 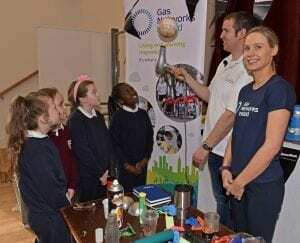 The annual Midlands Science Festival kicked off on Saturday with the Abbott Discovery Day which took place in St. Mel’s school in Longford as part of Science Week 2018. Nessa, how would you describe the role of a Creative Entomologist? I aim to reintroduce humans to their natural habitat through colourful encounters with insects. So far, this includes insect surveys for conservation, bug-centric workshops and outings, and art which celebrates the beauty, diversity and importance of these essential and under-appreciated ecosystem engineers. Creative Entomologist is a job title I created for myself when I couldn’t bring myself to choose between a career in conservation or my art practice, and I’ve found that great things happen for both when I combine the two! What kinds of things will the pupils learn about during your Science Week workshops? The children will take part in a storytelling and video making project on the theme of insect folklore and ecology. We’ll explore legends and urban myths about bees, beetles and other bugs, as well as learning about their needs, their roles in the ecosystem, and actions we can take to help them thrive. I’m excited to see the results, as the storyline and visuals for the video will be guided by the children’s own curiosity and creativity. The aim is also to create something which captures the public’s attention and conveys a call to action for insect conservation. Can you tell us a little bit about your background and what inspired you to work with such small creatures? I have been fascinated by all creatures great and small since I was big enough to terrorise the neighbours with a handful of slugs. As a child I would get upset if someone put a spider out of the house without showing it to me first! The macro world was (and still is) a calm place for me to escape to, a resource in times of stress. Being able to name animals and plants gave me confidence. I’ve seen nature experiences having the same effect on children when I’ve volunteered with OWLS Children’s Nature Club and when I do Heritage in Schools workshops. Throughout my MSc in Biodiversity and Conservation and my work on SEED Madagascar’s conservation programme, my earlier degree in Fine Art always had an influence, and my mum predicted years ago that I would someday combine art and science! Are your events interactive-are there some opportunities for the mini scientists to get hands-on? Always. I teach the kids insect-sampling techniques outdoors between spring and autumn, and will be bringing some six-legged friends into my winter workshops. My dream is to have everyone finding, identifying and recording insects in their local area. The more records we have the better we can make decisions about conserving our wildlife. It’s easy to make a real contribution. In my workshop for Midlands Science there will also be a chance to get hands on with art materials! My mother used to always tell us, ‘insects are just some God’s special creatures!’ What would you say to help a child who is afraid of bugs? We fear the unknown, and sometimes all it takes to overcome this fear is meeting an insect face to face and learning something about it. The same applies to meeting new people, and we need more of this in both cases! I explain that a bee or wasp that flies near you is just looking for a flower and means no harm. Even the poor vilified false widow spider will only bite if you harass it. I once had a pupil who strongly disliked insects at the start of a workshop but by the end she wanted to take a pair of mating dock beetles home with her to see them produce offspring! I think it was the story of their shiny green romance that won her over. Storytelling has great power to elicit empathy, and I think my enthusiasm and affection for bugs might be a little contagious too. 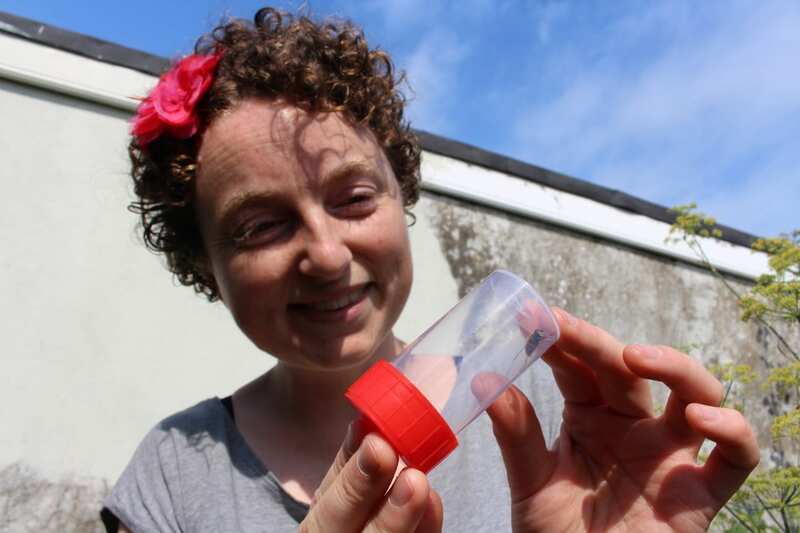 ‘Nessa’s work draws people in to familiarise themselves intimately with insects.’ This statement on your website shows your passion for the bug world. Why do we as a society need to talk about this more and what can we doing to encourage the next generation to do to help? My parents claim I didn’t learn my bug knowledge from them. This shows that even if you don’t know much about nature yourself, supporting your kids’ outdoor exploration of nature with the help of some books (and now some really helpful social media groups), is enough to encourage them to want to save the world! Photo credit: Charline Fernandez of greennews.ie. 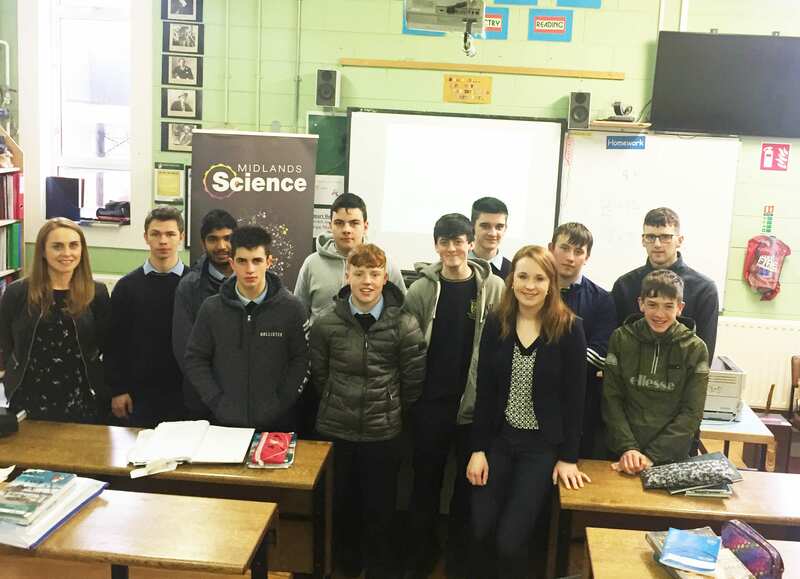 Midlands Science teamed up with Bord na Móna recently to deliver a series of engaging and interactive workshops to Edenderry pupils as part of the recent national ‘Engineers Week’ celebrations. The annual Engineers Week event is coordinated on a national basis by Engineers Ireland’s STEPS programme which is funded under Science Foundation Ireland’s Discover programme. 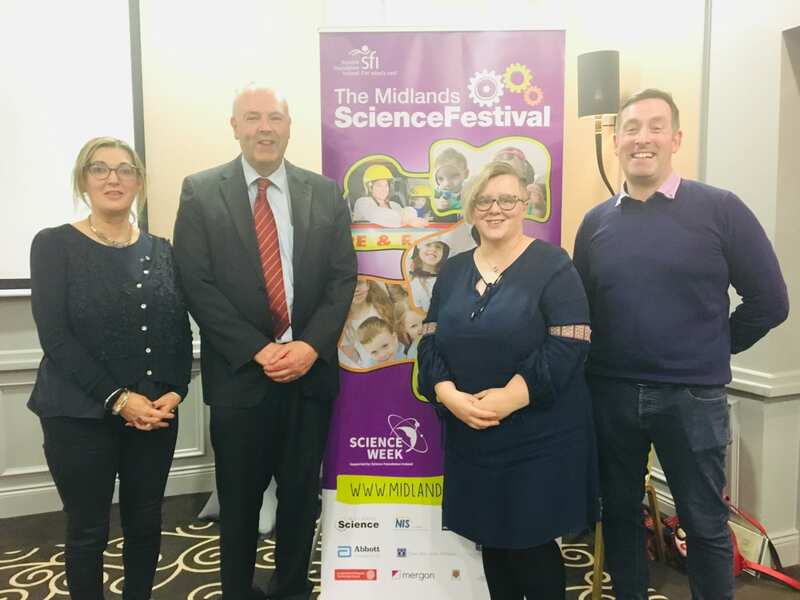 Midlands Science together with industry and academic partners wanted to ensure that a focus was given to encouraging young people locally to take a closer look at engineering and demonstrate how far-reaching, creative and innovative engineering actually is as a sector. 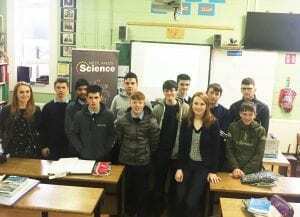 Oaklands community college with Laura Ryan, engineer from Bord na Mona and teacher (left) Ruth Monahan. Midlands Science collaborated with Gas Networks Ireland and the Gateway Youth Project in Athlone recently to deliver a series of engaging and interactive workshops to primary school pupils as part of the recent national ‘Engineers Week’ celebrations. Declan Holmes of ‘Science Ireland’ has been presenting interactive science shows to over 80,000 students in 1,000 schools around the country since 2001 and his workshops in the Midlands this week featured the science behind rockets, creating waves and musical instruments followed by a discussion on the future of engineering from how we power our houses to self-driving cars. http://www.midlandsscience.ie/wp-content/uploads/2018/04/GNI-event-2-Custom.jpg 365 450 Gillian Maunsell http://www.midlandsscience.ie/wp-content/uploads/2018/08/logo.png Gillian Maunsell2018-04-10 10:21:462018-08-13 14:45:55Engineer's Week in Athlone! The Midlands Science Festival is proud to name Google as a new supporting partner for 2017. 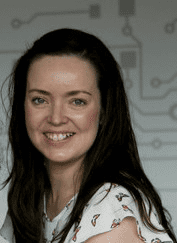 We had a chat with Google’s Claire Conneely, Computer Science Education Outreach team (EMEA) to hear a little about the company’s STEM outreach and why its so important for them to support events like Science Week and the Midlands Science Festival. Claire, we are delighted that you will be supporting this year’s Midlands Science Festival and are proud to name Google as a partner. 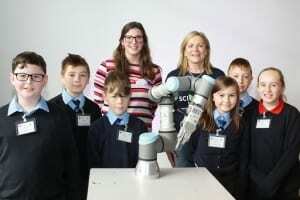 Can you tell us a bit about the type of STEM outreach that Google does in Ireland? At Google we are passionate about STEM, in particular Computer Science (CS). I am part of the CS Education team at Google – we are a global team who help millions of students and educators across the world develop technical skills for the future. More than 65% of students will work in jobs that don’t even exist today (http://reports.weforum.org/future-of-jobs-2016). At Google, want to help prepare them for that future by getting them excited about where CS can take them. Coding allows students to learn with​ technology (not from​ it, as is all-too-often the case) and to be active creators of their own content, not passive consumers. Many transferrable skills can be learned through studying CS, such as Computational Thinking, logic, problem solving – skills that we use at Google every day! Do you have a science or technology background yourself? became fascinated by technology and its role in helping students learn, so I decided to return to college to do a Masters in Technology and Learning. 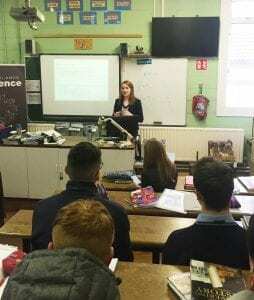 From there, I got the opportunity to join a small team in Trinity College Dublin to co-found and develop a new STEM outreach programme, which eventually became Bridge21. I’m very proud that today it’s one of the university’s flagship outreach programmes. Three years ago I had the chance to apply for this job at Google and I’ve been here ever since! Recent data shows that Ireland continues to experience a skills shortage in the STEM sector. Why is it important for companies like Google to support events like the Midlands Science Festival and what do you think we can do to keep dispelling the myth that science is difficult? the interest and aptitude. Some 98% of our engineers at Google had some level of exposure to CS before college. I am thrilled to see the introduction of Computational Thinking to the Primary School Maths curriculum, and the new Leaving Certificate Computer Science subject. Great opportunities lie ahead for our young people in years to come! Are there are any specific challenges in attracting women into science and technology related fields and do you have any suggestions on how this could be addressed? So many girls start out with a love of science and technology, but lose it somewhere along the way. Google believes that a diverse workforce leads to better products for diverse users and we are especially committed to reversing the negative trends around women in technology-related fields, in particular CS. encouragement and exposure as the leading factors influencing this critical choice and learned that anyone can help increase female participation in CS, regardless of their technical abilities or background. The most encouraging outcome of the study was that these factors have practical solutions, that anyone can undertake, requiring little more than time and interest. There’s enormous potential for positive change in this space! What is your favourite science fact? Your heartbeat mimics the beat of the music you’re listening to. Who doesn’t like to make slime!? 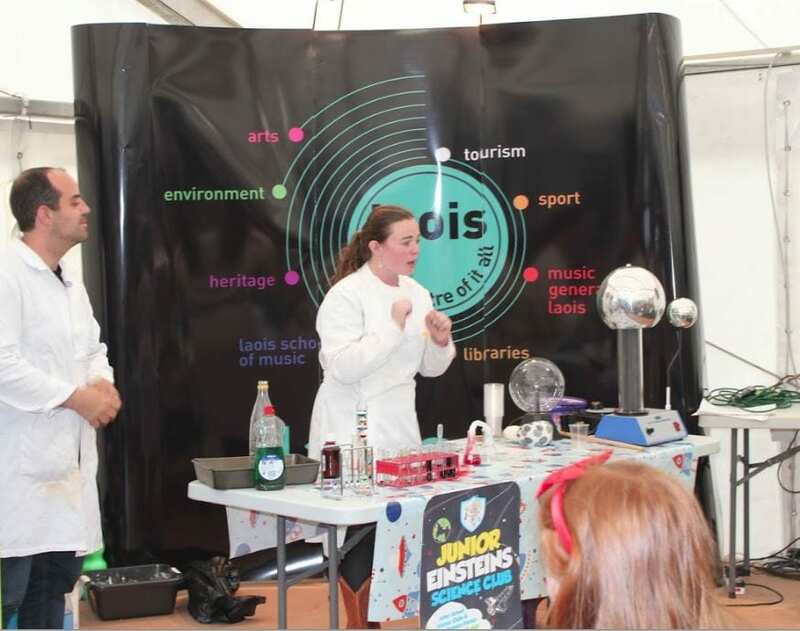 We are really excited about welcoming the Junior Einsteins Science Club’ to Laois this year. This unique club incorporates core science into fun sessions of hands-on experiments designed to stimulate and create a love of science and nature. Pupils will get to make and do their own experiments wearing their lab coats and goggles and using real scientific equipment including a university grade Van Der Graff Generator. This is always a popular one and we cant wait! http://www.midlandsscience.ie/wp-content/uploads/2018/08/logo.png 0 0 Gillian Maunsell http://www.midlandsscience.ie/wp-content/uploads/2018/08/logo.png Gillian Maunsell2017-10-20 12:13:292017-10-20 12:13:29Who doesn't like to make slime!? 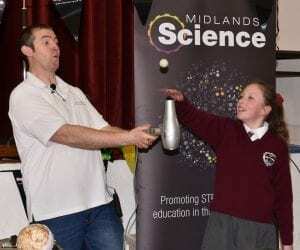 Copyright 2017 - Midlands Science Festival - All Rights Reserved. We are using cookies to give you the best experience on our website. Find out more about which cookies we are using by clicking the Read More button.